Since the beginning of this century the evidence base linking work and health has been strengthened by multiple national reviews. Waddell, Burton and Kendall, Dame Carol Black, Professor Michael Marmot, Lord Stevenson and Paul Farmer, Matthew Taylor and many others have highlighted the adverse impacts on health of worklessness or poor work, and the positive impacts that good work may enable. The recent Improving Lives Health, Work and Disability Command paper has announced the strategic priorities for Government. The Council for Work and Health is actively contributing to a number of key strands of this work programme, which has the aspiration of enabling 1 million additional people with disability to work. 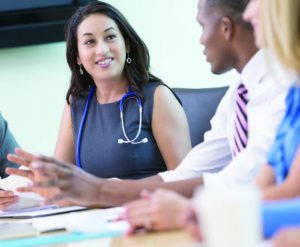 In 2008 a consensus statement on work as a clinical outcome was agreed by influential stakeholders – the Council is actively contributing to work to refresh the statement. The Council also has a number of representatives supporting the development of proposals to “Transform Occupational Health”, sharing experience and expertise to enable future occupational health support to all UK workers. A further Command paper initiative relates to Improving Fit Note completion and enabling health care practitioners, employers and employees to have positive conversations to enable “reasonable adjustments” to facilitate return to or retention in work. The Council is active in using its broad membership and experience to provide expertise to support development of resources to support these agendas and will use its membership to consult, test and disseminate evidence based materials to promote improved understanding and use of reasonable adjustments to support workers and enable a better match between needs and work requirements. The future occupational health workforce needs to be flexible, multidisciplinary and appropriately trained to enable effective collaboration to improve support to workers and employers. The Council has led research to understand future workforce staffing needs and identify the challenges of major shortfalls of expert practitioners in many disciplines. The Council will continue to inform understanding of future competencies and training needs, linking with strategic programmes such as the “Transforming Occupational Health” work. Council members are contributing to innovation and opportunities for shared common training of multidisciplinary practitioners. Public Health England has identified work among those of working age as an important area to support adult wellbeing (but also other generations due to the financial and social security that employment creates to enable health improvement). The Council regularly contributes to the steering group directing this work and is actively consulted in programmes being sponsored by Public Health England. Public Health England have collaborated with specialist organisations such as Business In the Community to commission a series of resources or toolkits supporting aspects of health and work. Key topics such as musculoskeletal and mental health issues are described in the series, with evidence based practical advice to enable improved management. Council members have contributed to the development and editing of the resources and Council is consulted in the production quality assurance process. NHS England supported by NHS Employers and NHS Improvement are continuing work to encourage NHS organisations to recognise and improve staff health. Research has highlighted that improved staff health is associated with higher efficiency, reduced costs, better patient outcomes and improved scoring against Regulatory targets. Council’s chair sits on the National advisory board steering this work, which is leading a series of programmes to improve the health of one of Europe’s largest workforces as a public exemplar.